Welcome to Sundance Cottages. Located 800 m east of Cavendish intersection, we offer a safe and peaceful setting on nine acres of grounds with ocean views and vegetable gardens for your own picking. 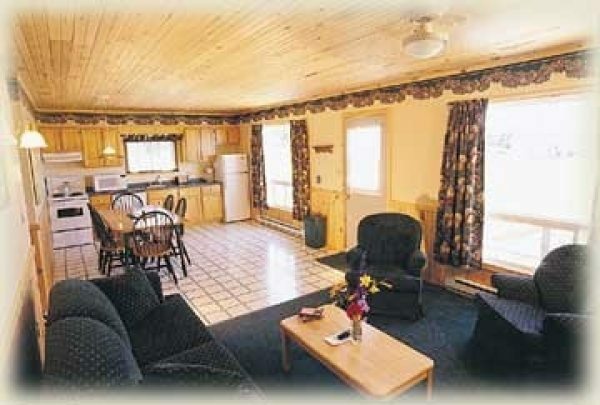 You can choose among modern, spacious, air-conditioned, well decorated and impeccably clean one- to four- bedroom cottages. Complete kitchens with dishwasher, remote-control cable TV/DVD, phones, queen-size beds, some with king size beds, whirlpool tubs and propane fireplaces. 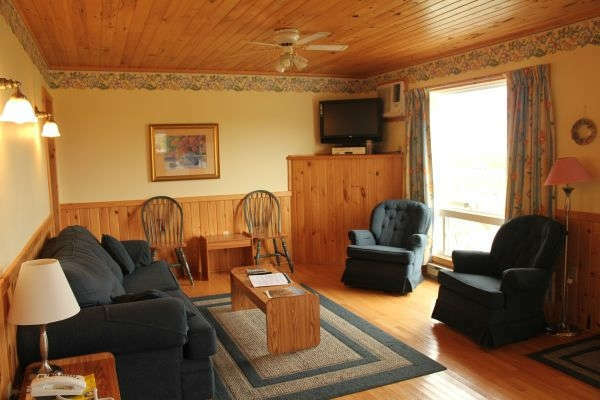 All cottages have picnic tables, barbecues and decks to watch the beautiful sky over the ocean. Large play area, a new firepit area, sport equipment, board games, heated pool, kiddie pool, hot tub, fax, free Wi-Fi, laundromat, meeting room, mountain bikes and movies. Minutes to beach. Romance, golf and family packages available. Our family looks forward to your visit. Michelin recommended. AE, DC, Discover, MC, V accepted. Cottage: 12 hsk units. 18B&S. Daily $130-300(2-4), $10 add’l person. Prices include off-season rates.